Quote Reply Topic: Liebherr 2018 WTTTC, April 29 to May 6. 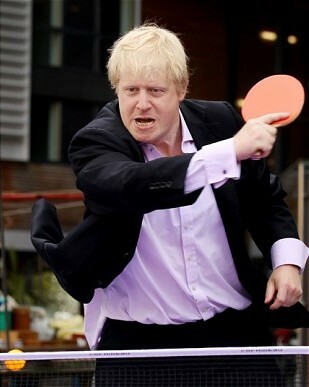 WTTTC: World Team Table Tennis Championships. At Halmstad Arena, Halmstad, Sweden. CNT doing a elimination 3/16-17, 2 out of the following 8 will join DN, ZYL, LSW. CM, CXT, WMY, GYT, SYS, WY, FYL, MZ. Then they'll do a closed intensive training/preparation at CNT's Women Team Training Ctr at Huang Shi before shipping out. I just realized that I can decode all of these name abbreviations. Man, I gotta spend less time watching Youtube videos and more time in the club instead. After 5 rounds out of 7, CM is 5:0, and WMY is 4:1 in CNT's selection competition for Team WTTC. That's enough for CM & WMY to join DN, ZYL and LSW in Halmstad, Sweden. The report I got was that both WMY and CM were 5-0 so they didn't need to play the last two rounds and see both going. In the 5th round, CM beat WMY 3:1. Where can we get acquainted with the results of these qualifying games? MZ 3:1 (0:3, 3:0, 3:2, 3:1) - even if MZ makes 4:1, she has more lost games than WMY. edit: 5th round, MZ lost to CXT, so it's 3:2 for her as well as CXT. They were both 5-0 and played a decider for first place and CM beat WMY 3-1. Part of the reason why they stopped early was that WMY was going to be the U21 Qualifier and CM the Senior qualifier no matter the results of the remaining matches given their head to head wins. It is time to re-activate this post. D.N. 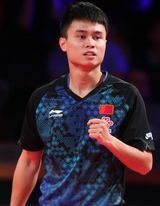 and WU Yang - only in China ..
Men' s..USA beat Spain 3-2. Kanak won both his matches and Nikhil Kumar alo won his. The overall score is wrongly listed on ITTF - when I looked at the individual match scores, I concluded what you said. Strange that an error like that occurs. Overall score should be automatically generated by match scores. I saw that as well. FTW is still a very good player but is nearing 32 years old. Singapore is in the same group as India, so we'll probably see a 3rd match between FTW vs. Manika Batra at some point. Last match was very close so we'll see if she breaks through this time. A 3rd upset would be devastating for her psyche. Yes, but Ekholm is 35 years old. Good point. Her young style hair cut throws me off . Ekholm comes back from down 0-2 in games to beat WR #4 .
gauzy just lost achanta 12-14 in the 4th after saving 3 match points and losing a game point. kind of disapointing.